Hoo boy. What a let down. 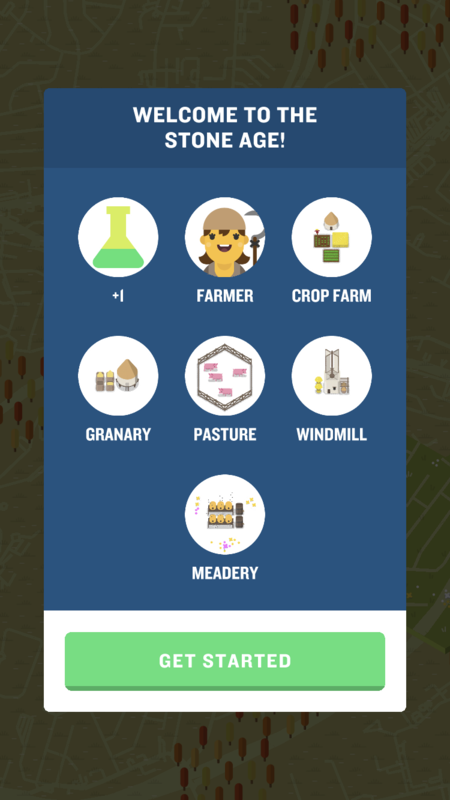 Run an Empire is an “incremental game” in disguise. This genre of game has emerged over the last few years where play is generally about performing a single type of action (usually just tapping a button) over and over again to earn some sort of currency. Eventually you amass enough currency to unlock mechanisms in the game to make that tapping easier or to generate more currency when you’re away from the game. 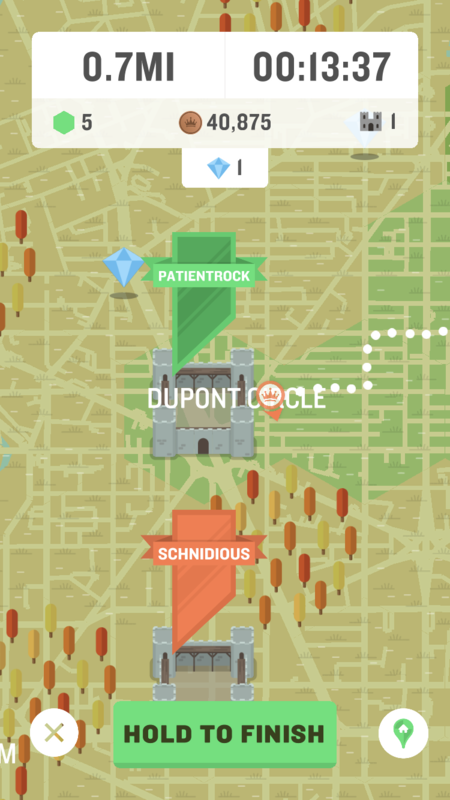 Run an Empire is pretty much that, but with a nearly nonessential location-based gaming element. Run an Empire builds a world map based on your actual surroundings and you “take over” parts of that map by physically travelling around. You earn money based on how far you travel in a session. You can build buildings upon the territory you conquer and those buildings allow you to earn more currency and at faster rates when you’re away from the game. There are different “historical eras” that you can unlock once you’ve earned enough cash and each of those eras unlock new buildings which again ramp up your money-earning economy. There’s nothing inherently bad about incremental games. I’ve lost myself in a couple well-designed ones until I got too sad about what I was doing with my life, but Run an Empire has some significant problems. Most of which, considering the genre, is a comically imbalanced economy. The currency you earn has seemingly no value as you constantly get laughably big sums of it. 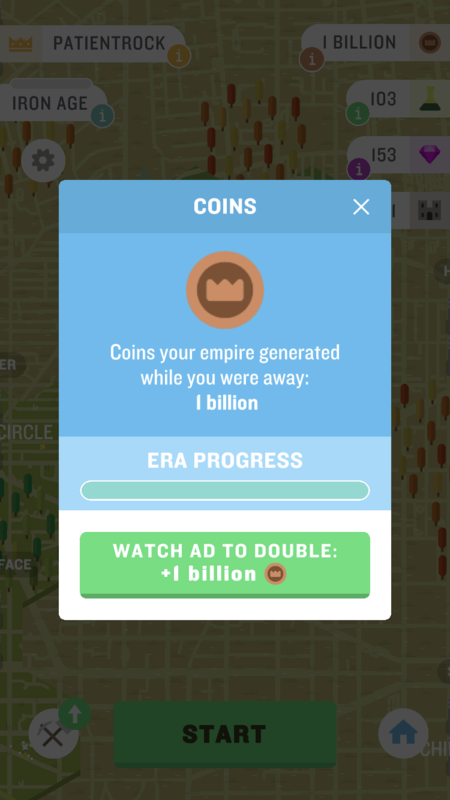 A newer feature patched into Run an Empire has you doubling your earnings if you (of course) watch an ad, and between that and the “gems” you can buy with real money, I wish the game’s developers spent a little more energy elsewhere in the game’s development. Everything you build in the game is all about earning currency at faster rates but the difference between any of those buildings isn’t explained in the game for there’s not a tool-tip in sight. Not that knowing really matters, for there’s seemingly no objective, no sport, no competition for working to earn more currency. 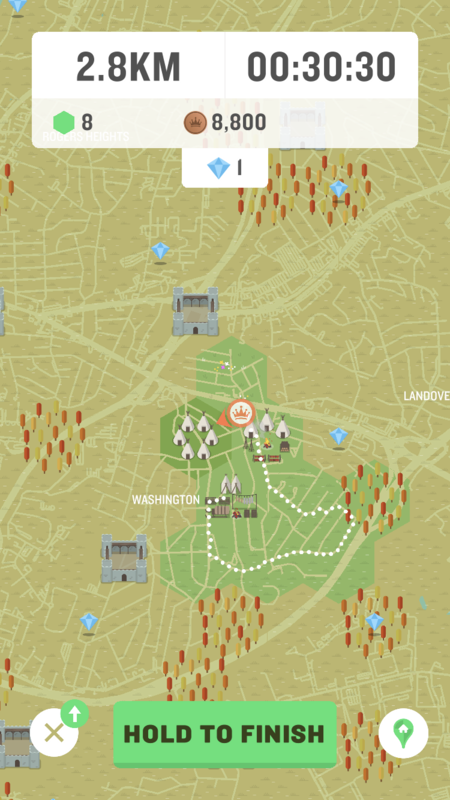 There are castles on the map that you can take from other real-life players, but the bonuses of ownership aren’t convincing enough to make the castles worth competing over. I’ve currently reached the “Iron Age” in the game and heck if I know what’s the point of continuing. 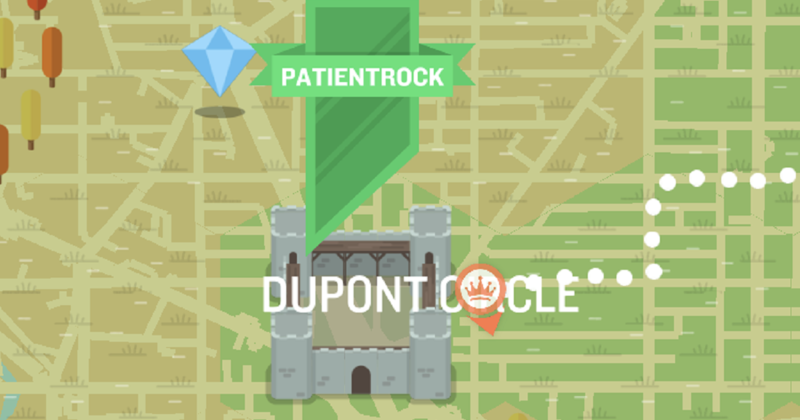 Most damning for me is the location-based part of Run an Empire. Beyond an initial excursion or two, there’s no reason to keep going out to conquer more territory. The money you earn from running isn’t big enough and you end up earning more by doing nothing, letting your buildings do the work. Plus, the world map in the game is at too big a scale. I live in a decently-sized suburban neighborhood and I captured every safely-available hex within my first run. 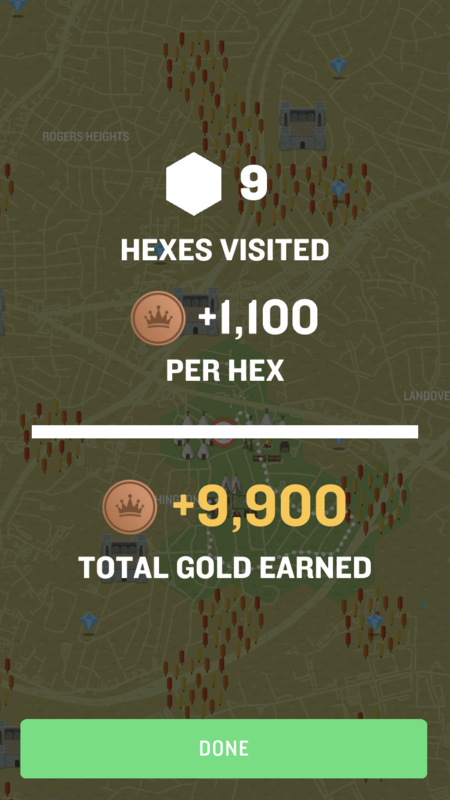 Those few hexes were plenty enough to build every building available so far and again, there’s very little incentive to re-run them. I wish Run an Empire at least was working at a smaller scale so there was more physical ground for me to cover. It’s too bad as Run an Empire is otherwise fairly unobtrusive. I’ve tried it while also playing Zombies, Run, just to really load up on fitness games, and ran into no conflicts. It doesn’t play any sounds and runs fine with your phone’s screen off and in your pocket. I’d even be down with accepting it as an incremental game to play along with other location-based experiences. The developers seem to be active with updates so perhaps they’ll straighten out the game over time. At least for right now though, the game works best while you’re sitting on the couch, and I have plenty of far more entertaining ways of wasting my time.